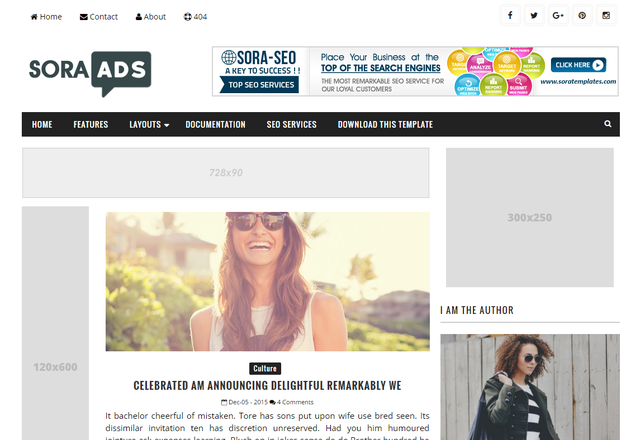 Description: Sora Ads Blogger Templates is a perfect ad optimized blogger theme for Adsense users and Affiliate Marketers to get high earnings through advertisements by increasing the click through rate(CTR). This excellent Adsense-ready template has very impressive layouts that let you insert the ads at the high-conversion places and gently push your audience to click them. We have also done the speed optimization feature and thus, you never need to worry about the loading speed of your site.